Oh, the nine patch. Such a classic quilting pattern, and such an easy way to get started if you’re a beginner. One of the first quilts I ever sewed up was a nine patch. If you’re like me and you’ve done a million nine patches by now, you’re probably looking for a new way to do them. 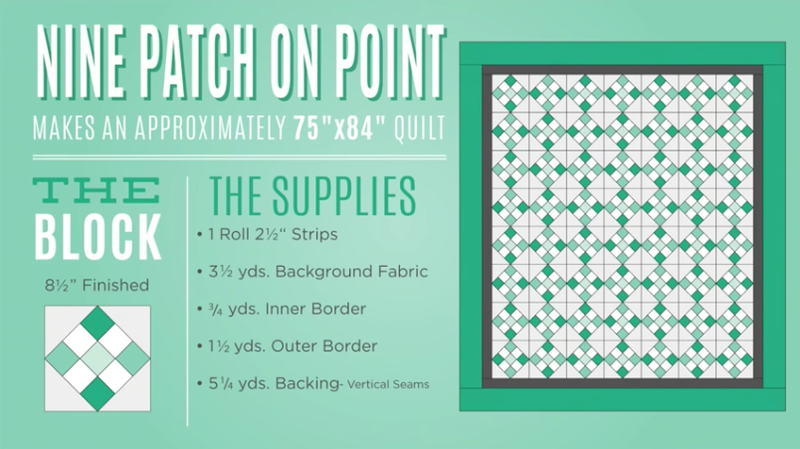 This “Nine Patch On Point” quilt might be just the fix. The beginning of making this block is as simple as sewing up a nine patch however you’d like. Use whatever colors or patterns you’d like. The background fabric should be included here. As for making this nine patch “on point,” you’ll need two background squares the size of your nine patch. Stack those two squares on top of each other, and cut them along the diagonal. You can probably see where this is going. Take each of those triangles cut from the squares, And sew it on each of the sides of your nine patch! Once you’ve sewn those on and trimmed off your excess, your block is done! 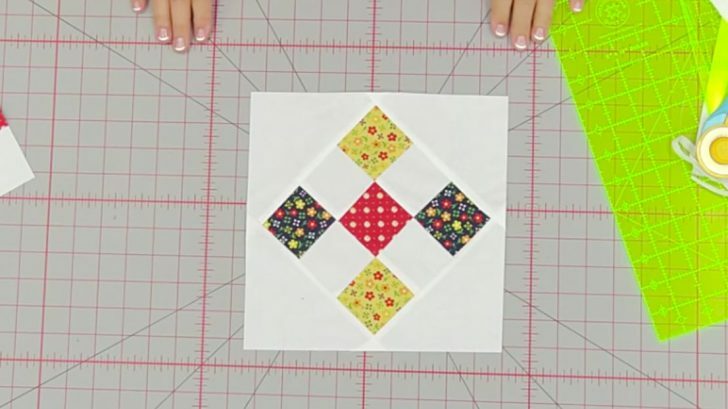 Watch Jenny stitch up these super-cute blocks in the video below. You’re gonna love it, guaranteed.